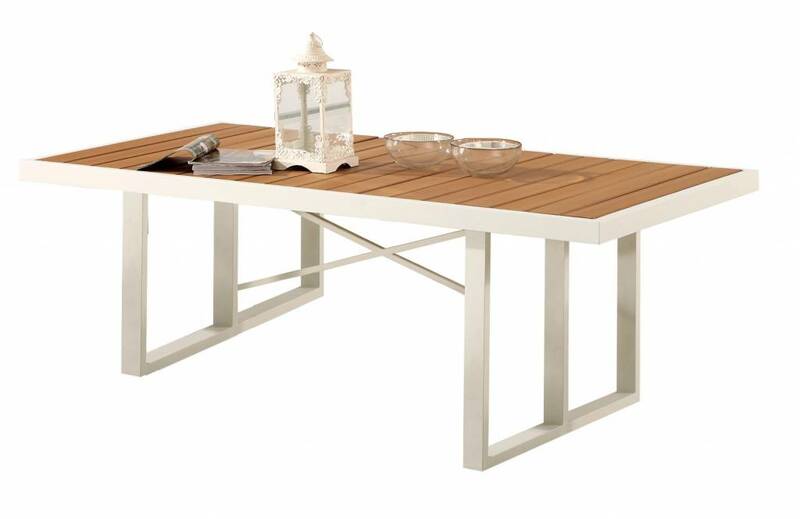 The Wisteria outdoor dining table is designed for long lasting quality with impressive looks. Constructed of heavy gauge powder coated aluminum frames with several top options to choose from like; glass, teak and poly-wood. 100% Commercial Grade Quality. Amber Dining Table For 6 - 73" x 39" x 29"